Michael Phelps. 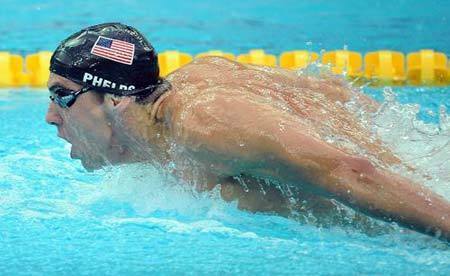 Phelps wins Olympic Men's 200m con bướm, bướm vàng in world record time. Wallpaper and background images in the Michael Phelps club tagged: michael phelps american swimmer olympics beijing 2008.